These are the last of the Planner Society kit I've received. Although I've been very happy with all the lovely things that came in the kit, I had to call it quits as I have way more than enough crafty things to last me awhile! 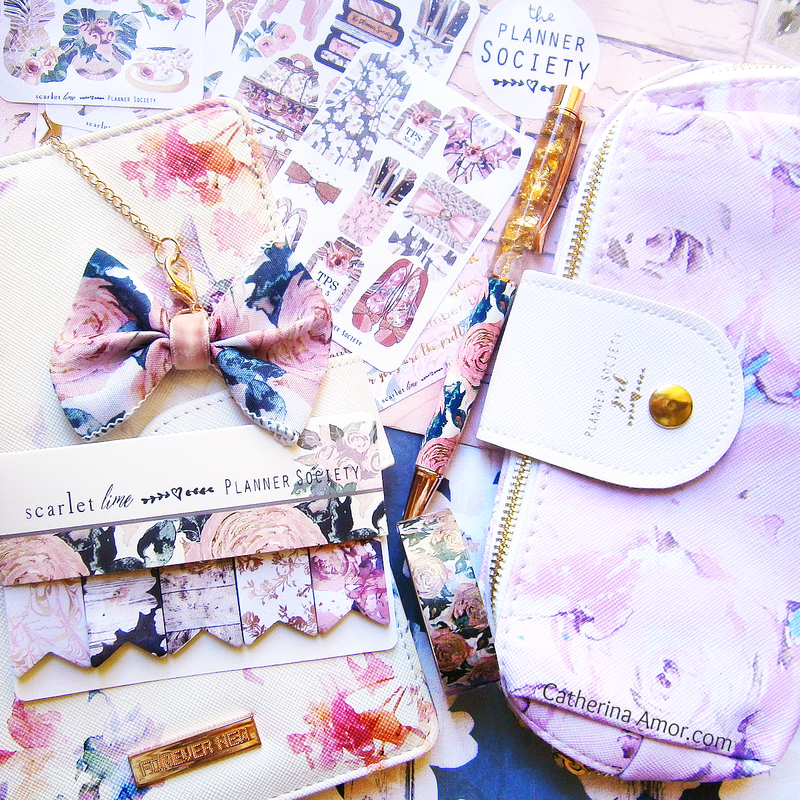 The floral planner is from Forever New - I just like to use it as a prop as display with all these adorable planner supplies! Out of the many items that came in the kits, I loved the pens and stickers the most! But honestly, everything was great and top notch! 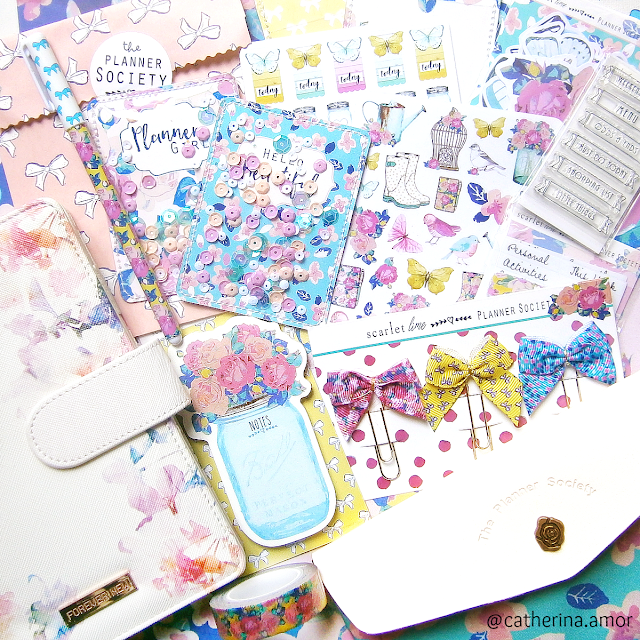 The paper clips, page flags and sticky notes, charms, quote cards, shakers, scrapbook paper and washi tapes. All have been excellent! I've enjoyed my time subscribing to the Planner Society - receiving it once a month was like getting a gift every time! For now, I will just lust over the photos @theplannersociety Instagram gallery.